What's wrong with sulphur in whisky? Sulphur is the scourge of Scotch whisky, if some observers are to be believed. But where does it come from? And is it really such a big problem? May the funk be with you, says Dave Waddell. Sherry amour: has the boom in Sherried whiskies prompted a sulphur issue? Scourge of biblical man, scent of hell, holy fire’s noxious partner, our relationship with sulphur is long and mixed. Its crystals prized in ancient times, it’s been a medicine and antiseptic for thousands of years, remains hyper-metaphor for the exceedingly bad, and is utilised today in ways too numerous and diverse to catalogue here and now. Our interest is in the fact that it occurs in whisky, that its sources remain the subject of ever-lively debate, and that we are not altogether agreed on whether its presence is a good or bad thing. Let’s dive in. Calling it ‘singly the biggest screw-up in the whisky industry in the past quarter of a century’, whisky writer Jim Murray is unequivocal about the source of sulphur notes in whisky, the result, he says, of a very modern error, introduced in the 1990s, when with a change of law Spanish producers were no longer allowed to export their Sherry in anything other than bottle. Empty casks – destined for the whisky industry, sat waiting during summer months – were suddenly vulnerable to spoiling, prompting the ramping up of the age-old practice of fumigating their insides by burning sulphur candles. Having penetrated the cask’s innards, the sulphur interacts with the maturing spirit, irretrievably tainting, says Murray, the whisky it will become. There’s more to it than meets the eye, though. Save the purposeful burning of sulphur during the kilning of peated malts, and the above-mentioned fumigation practice, sulphur compounds in whisky are a naturally occurring by-product of process. Already present in the barley at low levels and only in certain key amino acids, changes in heat and moisture levels are the catalyst – during germination, kilning and mashing – for the birth, conversion and expulsion of various sulphides and sulphites. It’s a snitch, however, when set against the brimstone soup pot potential of fermentation, the meeting of yeast and those self-same amino acids serving as recipe for a veritable sulphide fest: hydrogen sulphide (yeasty, rotten egg), methyl disulphide (meaty, Marmite), DMTS (stagnant, rotting, sewer-like), DMS (corn, cabbage) and a clutch of thiols (struck matches, gassy, rubbery). Let’s get funky. Fortunately, any Scottish distiller worth his or her salt is well-versed in the business of pre-empting, managing and getting rid of sulphur. They know exactly what they want when it comes to yeast type, and avoid over-long fermentations. They ensure maximum sulphide-to-copper contact during distillation. They time the spirit run’s second cut with care, sending heavier sulphides straight out with the tails. They are legally bound to mature their whiskies for three years, time enough to expel or convert sulphides through evaporation and early-stage oxidation. In short, they exercise a four-point plan for a sulphur compound massacre. To what extent the massacre, however, depends on the distiller. Meaty malts were an industry staple in the days before the introduction of the shell-and-tube. Born of long fermentations and squat stills, late second cuts and the use of traditional worm tub condensers, these were whiskies prized by blenders, the types, levels and combinations of the sulphur compounds contained such that their part in the final article was experienced not so much as a problem, but rather as evidence of depth of character. Today, many a key distillery continues to actively curry the flavour. Meat is in. As for the relative fineness of pre-1990s Sherried whiskies, it’s worth asking how many may have been matured in similarly vulnerable casks. According to Teemu Strengell, who’s excellent on this, and uses whisky writer Philip Hills as a source, the law banning the shipping of Sherry in anything other than glass may indeed have been made in the 1990s, but records show a growing dearth of shipped casks from the 1940s onwards. 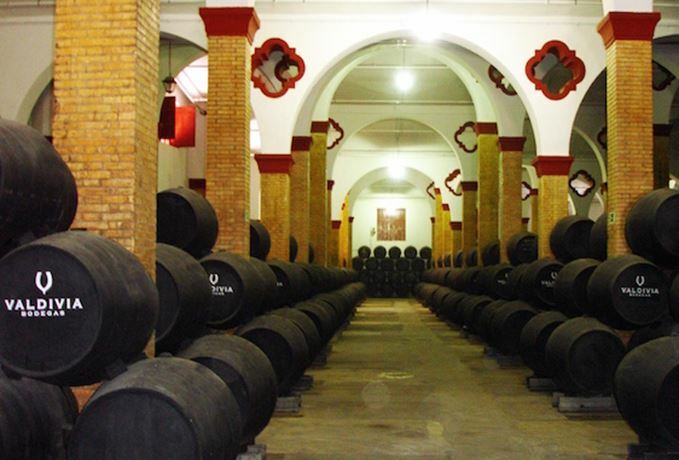 The industry’s resultant reliance on exhausted solera casks witnessed an explosion in rejuvenation techniques, among which the widespread use of pajarete or paxarette (Sherry syrup), a wine-treatment practice designed, as Hills says, ‘to simulate the effects of new Sherry wood’. Whiskies matured in paxarette-seasoned casks are remembered, Hills says, as tasting ‘slightly sulphurous’. The use of paxarette was phased out in the late 1980s, though key operators had already since the 1970s begun the task of wresting control of supply lines, buying the wood at source, overseeing the coopering of casks in Spain, and lending the butts out to trusted Sherry houses. We’re playing half-arsed detective here, but the issue of empty casks goes way back, and with it, one would suppose, the practice of sulphur candle fumigation, and also, logically, operator strategies for countering it. Still, Murray’s right to make the point: there are more sulphured casks in circulation, which would make sense, given the boom in, and renewed popularity of, Sherried whiskies, the penchant for wine wood finishes. Even so, it’s not the biggest of screw-ups. There’s a long line of those, and sulphur barely makes it. An industry dominated by ex-Bourbon casks is not an industry drowning in sulphured casks. Also, the sheer size of large operator blending pools makes short sensory thrift of the worst of checks-and-balances-avoiding rogue interlopers. We’re over-estimating a tic largely limited to independents, to small batch specialists, a fact, if Oliver Klimek’s count of the 2013 Whisky Bible’s low number of sulphur mentions for high-sale standard-Scotch bottlings is anything to go by, to which Murray would appear to accede – at least statistically. Of course, whatever the source and type of the sulphur, it’s all a matter of taste – below a certain threshold of tolerance. Some of us are as likely to enjoy it as a snake might the company of a mongoose. Some are genetically incapable of noticing it at all. Personally and occasionally, I like a lick of the brimstone. I like its incongruousness. I like the meat, and sometimes, if not allowed to dominate, the wonkiness of the sulphured cask. But that’s me. Life without funk’s no life at all. Much like Marmite, sulphur-based aromas such as struck matches leave whisky drinkers divided. Jim Murray has named an American whiskey as ‘whisky of the year’ for three years running. Colonel EH Taylor Four Grain is World Whisky of the Year, ahead of Redbreast and Glen Grant. After reading Jim Murray’s Whisky Bible, our Virgin begins questioning his own tasting method. The Whisky Virgin longs for a naked picnic staring deep into Jim Murray's inviting, golden eyes.